Awana is the Wednesday night children’s ministry at Olivet Baptist Church. This program helps churches and parents work together to develop spiritually strong children who faithfully follow Jesus Christ. On Wednesday evening, children are taught the Word of God in a fun and loving atmosphere. The program focuses on a personal relationship with Christ, Scripture memorization and Christ like living. Children earn badges and participate in projects throughout the year. Awana meets from 6:25-7:30 p.m. on Wednesday evenings. 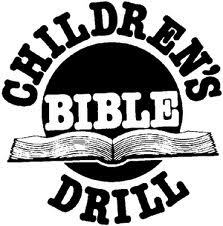 Olivet offers Children’s Bible Drill on Sunday nights at 5.